Infectious Diseases and Pulmonology for Primary Care is organized by MCE Conferences and will be held from Jun 14 - 16, 2019 at Big Sky Resort, Big Sky, Montana, United States of America. This CME Conference has been approved for a maximum of 12 Prescribed credits by the American Academy of Family Physician. Target Audience : All Physicians and other Healthcare Professionals seeking the most updat to date clinical information about Infectious Diseases and Pulmonology. Course Description : This conference is designed to provide primary care clinicians with up-to-date, evidence-based information on commonly encountered issues dealing with Infectious Diseases and Pulmonology, while suggesting pragmatic approaches to clinical management. The discussion-based format of the conference will encourage audience participation through dynamic lectures, case-based studies, and hands-on workshops. Keynote speakers will present and critically assess recent advancements and industry updates in Infectious Diseases and Pulmonology, with the goal of enhancing the knowledge-base and core competence of attendees. The successful completion of this interactive program diagnosing, treating, and prescribing the most effective courses of treatment, with the ultimate goal of improving patient outcomes. Course Objectives : • Immunization 101 • Antibiotics 101 [Pharmacology] • Infectious Disease Curbside Consultation • Infectious Disease Jeopardy • 2018 STD Update (including HIV) • Infectious Disease Board Review • Asthma • Pulmonary Function Testing • Management of Chronic Cough • Chronic Obstructive Pulmonary Disease (COPD) • Bronchiectasis and Interstitial Lung Disease • Interactive Cases Additional details will be posted as soon as they are available. Summer Conference on Acute Care of the Critically Ill Patient is organized by Symposia Medicus and will be held from Jul 24 - 27, 2019 at Big Sky Resort, Big Sky, Montana, United States of America. Continuing Education Credit Physicians Symposia Medicus designates this live activity for a maximum of 18 AMA PRA Category 1 Credits™. Physicians should claim only the credit commensurate with the extent of their participation in the activity. ACEP Approved by the American College of Emergency Physicians for a maximum of 18 hour(s) of ACEP Category I credit AAFP Application for CME credit has been filed with the American Academy of Family Physicians. Determination of credit is pending. Please check our website for updated credit information. PAs NCCPA accepts certificates of participation for educational activities certified for AMA PRA Category 1 Credit™ from organizations accredited by ACCME or a recognized state medical society. PAs may receive a maximum of 18 hours of Category 1 credit for completing this program. Nurse Practitioners/Nurses The ANCC contact hours awarded for completion of this conference are 18. Provider is also approved by the California Board of Registered Nursing, Provider #CEP2335, for 21.6 contact hours. Pharmacists The California Board of Pharmacy accepts as continuing professional education those courses that meet the standard of relevance to pharmacy practice and have been approved for AMA PRA Category 1 Credit™ Pharmacology Content for Prescriptive Authority A maximum of 1 hour in pharmacology content for prescriptive authority may be earned by attending this educational conference. Sessions awarding pharmacology content for prescriptive authority are denoted with an Rx in the schedule. Please contact your state’s Board of Nursing for specific educational requirements as requirements may vary state to state. Course Description: Emergency and Urgent Care medicine involves the delivery of immediate medical care for the treatment of acute and chronic illness and injury. Practitioners providing emergency and urgent care need to be proficient in evaluating and caring for patients presenting with a broad range of acute medical problems. Our Summer Conference on Acute Care of the Critically Ill Patient is designed to provide emergency physicians, nurses, nurse practitioners, PAs, as well as out-of-hospital providers with an extensive scope of knowledge and expertise in the evaluation and treatment of acute medical conditions. The goal of this conference is to increase knowledge and enhance the competence of attendees. Emphasis will be placed on practical application of the evidence-based topics presented. Topics for this year’s conference have been selected based on the educational needs determined from the identified professional practice gaps. The gaps were derived from a variety of sources including evaluations and outcomes data from past participants; clinical expert input; Symposia Medicus’ online survey; and other medical and nursing data. 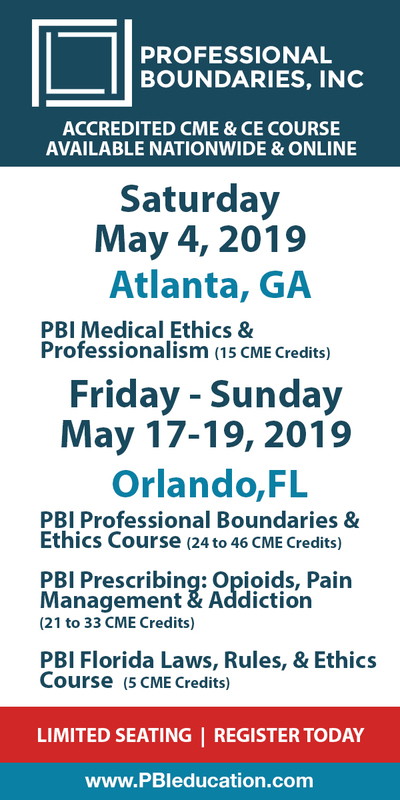 Conference format will include didactic lectures, smaller group breakout and interactive sessions, case studies, and question and answer sessions. An outstanding faculty has been assembled for this conference. Each member was selected based on their individual area of expertise and ability to communicate current, evidence-based, and practical information to participants. You are sure to enjoy our Summer Conference on Acute Care of the Critically Ill Patient while sharing ideas and experiences with colleagues from across the country in the beautiful setting of Big Sky, Montana. Course Objectives: As a result of participating in this conference, you should have increased knowledge and enhanced competence to… • List current AHA recommendations for neonatal and pediatric resuscitation • Identify the two types of respiratory failure • Describe the clinically relevant physiology of compartment syndrome • Identify which patient populations are at high risk for misdiagnoses of acute coronary syndromes (ACS) • Develop methods that you can use to rationally prescribe analgesics for those in pain while limiting the risk for abuse, misuse, and diversion Additional details will be posted as soon as they are available. The National Conference on Wilderness Medicine is organized by Wilderness Medicine Educational Company and will be held from Jul 27 - 31, 2019 at Big Sky Resort, Big Sky, Montana, United States of America. Target Audience: Primary care physicians, nurses, physician assistants, and other health care providers who might encounter patients in remote settings or who may treat patients that develop medical problems after visiting remote areas. No outside commercial support has been received for this activity. Accreditation: Credit Designation: The Center for Emergency Medical Education (CEME) designates this live activity for a maximum of 39.5 AMA PRA Category 1 Credits™. Main conference earns 24 credits, Optional AWEP course earns 15.50 credits and Optional Wound Management course earns 2.0 credits. Physicians should claim only the credit commensurate with the extent of their participation in the activity. 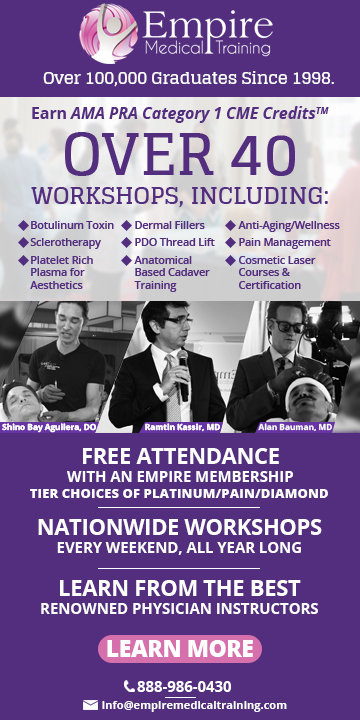 This activity is anticipated to offer up to 39.5 hours of AOA Category 2-A CME credit, pending approval by the AOA. Nurse Credit: Under the new BRN guidelines, this course is also accredited for up to 39.5 hours of nursing credit. AWEP Certification: A comprehensive course that is designed to prepare physicians and other health care providers with an extensive background in key topics and practical skills needed to become a competent expedition, wilderness, or Search and Rescue Medical Providers. Includes: 15.5 additional AMA PRA Category 1 Credits™ all supplies, syllabus, breakfast, patch, and certificate AWEP Course Days: July 27th - 30th, 2019 • Saturday, July 27th 8:00 am - 4:00 pm • Sunday, July 28th 2:00 pm - 5:30 pm • Monday, July 29th 2:00 pm - 5:00 pm • Tuesday, July 30th 2:00 pm - 5:00 pm Pre-Conference Workshops: • Advanced Wilderness & Expedition Provider • AWEP Certification: Sat, July 27th - Wed, July 31st • Wilderness and Survival: Saturday, July 27, 8:00 am - 4:00 pm • Wilderness Navigation: Saturday, July 27, 8:00 am - 4:00 pm Optional Workshops: • Wilderness Survival: Sunday, July 28 or Tuesday, July 30, 1:30 - 5:30 pm. • Wilderness Navigation: Sunday, July 28, 1:30 - 5:30 pm. • Tracking: Monday July 29, and Tuesday, July 30, 1:30 - 5:30 pm. • Ropes & Knots For Wilderness Medicine & Rescue: Monday, July 29, 4:30 - 6:30 pm. • Wilderness Navigation Practicum: Tuesday, July 30, 1:30 - 5:30 pm. • Basic Wound Management & Suture Lab: Tuesday, July 30, 2:00 - 4:00 pm. • Urban & Travel Survival: Monday, July 29, 1:30 - 5:30 pm. Program Objectives: • Identify prevention and treatment of altitude illness based on an understanding of the underlying physiology • Recognize and properly manage frostbite in the field • Identify and treat hypothermia in the field • Identify fracture and dislocation in the wilderness • Identify the pathophysiology, and treatment of heat related illness Additional details will be posted as soon as they are available. The National Conference on Wilderness Medicine is organized by Wilderness Medicine Educational Company and will be held from Feb 22 - 26, 2020 at Big Sky Resort, Big Sky, Montana, United States of America. Additional details will be posted as soon as they are available. 2nd Annual Winter Conference on Hot Topics in Women's Health is organized by Symposia Medicus and will be held from Feb 25 - 29, 2020 at Big Sky, Montana, United States of America. Additional details will be posted as soon as they are available. Hematopoiesis (D3) is organized by Keystone Symposia on Molecular and Cellular Biology and will be held from Apr 03 - 07, 2020 at Big Sky Resort, Big Sky, Montana, United States of America. Description Hematopoiesis is a highly regulated and dynamic developmental process by which hematopoietic stem cells self-renew and differentiate to form all blood lineages. Disruption of hematopoiesis resulting from genetic, epigenetic, transcriptional, and/or post-translational defects or due to environmental stressors can result in benign or malignant hematologic disorders. Advances in model systems, genome-editing tools, single-cell analyses, and imaging technologies have provided insight into the molecular, cellular, and developmental basis of normal and malignant hematopoiesis. This Keystone Symposia meeting will bring together basic and translational researchers to discuss and debate emerging topics and recent advances on developmental hematopoiesis, adult stem cell self-renewal and stem cell niches, novel hematopoietic regulators, and the pathogenesis of bone marrow failure syndromes and leukemia. Taken together, participants at this meeting will gain new insight into the biology of normal and malignant hematopoiesis and cutting-edge technologies, as well as have opportunities to cultivate new ideas and establish collaborations with researchers from disparate disciplines. Additional details will be posted as soon as they are available.